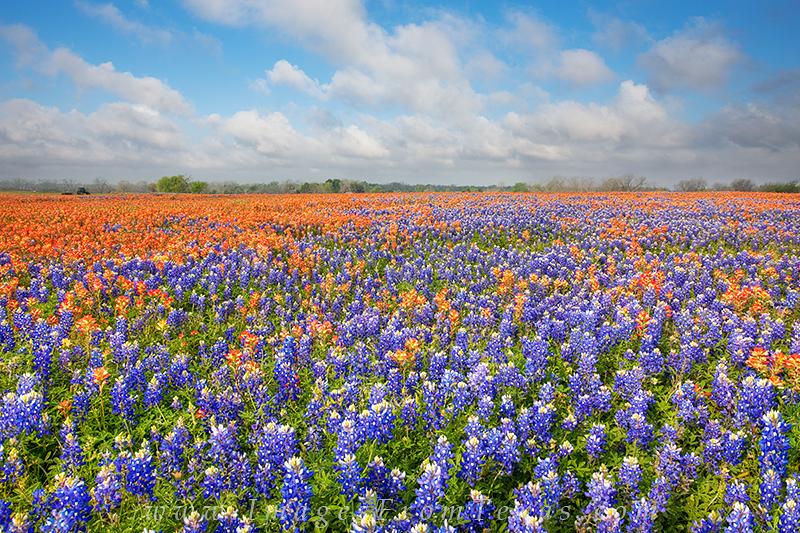 East of Austin near Whitehall, Texas, I came across this colorful field of bluebonnets and indian paintbrush on an early April morning. When I arrived, the clouds were low and not so great. After sunrise, they began to fade, blue skies arrived, and it was just the bumblebees and me in a wonderful field of wildflowers. Photo © copyright by Rob Greebon.